Marley lived a rough life that no dog should ever have to experience. 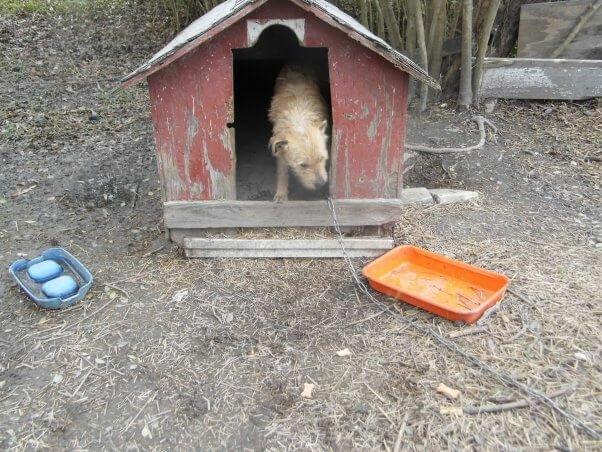 His owners kept him chained up in the backyard and barely paid him any attention. For food, he ate cheerios from a dirty pan if he was lucky, and all he had to drink was dirty water from a bucket that was filled with green algae. When he got excited, his owners would hit him on the head. 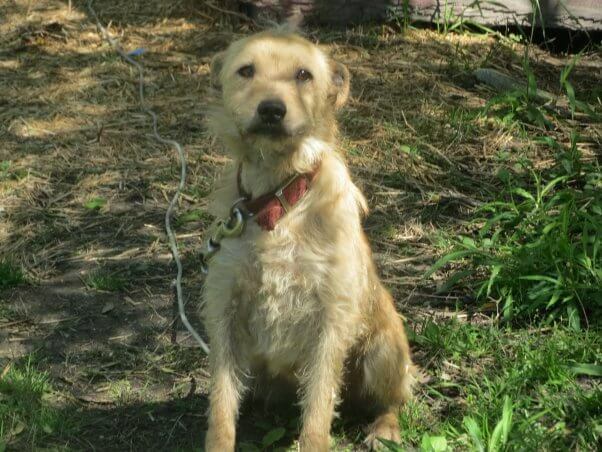 He didn’t even know his own name, and the only word he really knew was “no.” The only shelter he had was a dirty little wooden doghouse, and he had never felt the warmth of a real bed or even the indoors. PETA fieldworkers did everything they could to try and gain possession of Marley to give him a better life. Finally after five years, his owners finally agreed to surrender him to PETA. They rushed him to their shelter where they found out that aside from being severely malnourished, he was also infested with parasites. Not only was he starving for food, but he was also starving for attention. Poor Marley had never felt love in his whole life. 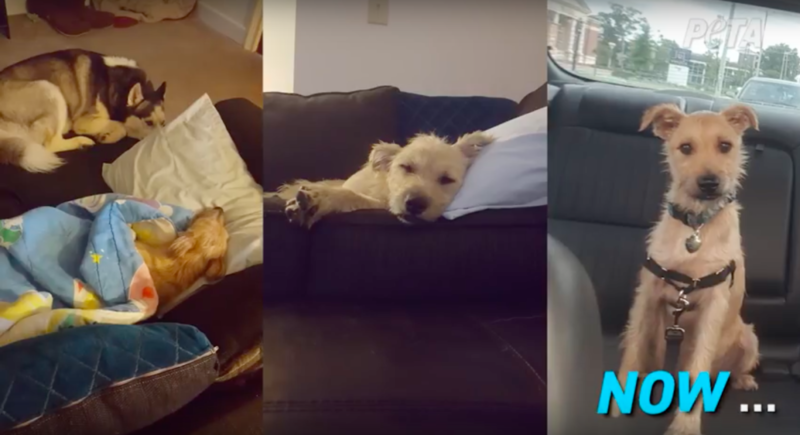 One of the PETA workers, Michael Moss, fell in love with Marley and decided to give him a loving forever home! Marley finally has a warm bed to sleep on and no longer has to worry about being stuck outside. 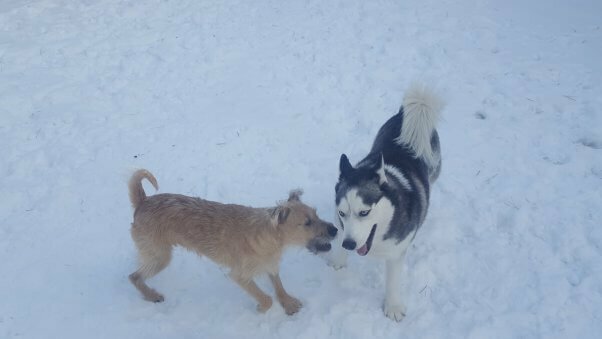 He also has a new doggy sister, Kyah, who he loves to play with! 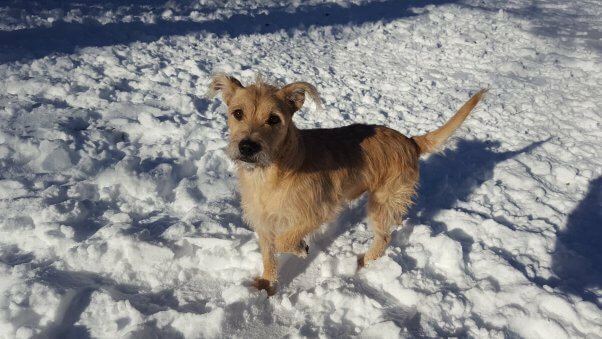 Marley enjoys playing in his new backyard and is getting spoiled with endless treats, toys and lots of cuddles! Despite everything that he had been through, he still has a positive attitude and is a very happy and friendly little pup!